A bit of humor from Elise Loyola Mance for thesnaponline.com. In honor of International Talk Like a Pirate Day, here are 6 fictional pirate quotes to help ye land lubbers get into the spirit of the day. 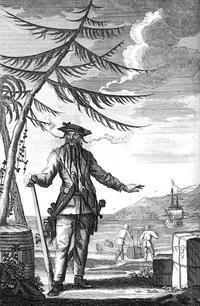 Blackbeard was a notorious English pirate of the 1700s who also became a fixture in fictional works, most recently in the film “Pirates of the Caribbean: On Stranger Tides.” Blackbeard is portrayed as the heartless captain of the ship “Queen Ann’s Revenge” who is on a quest to find the Fountain of Youth. 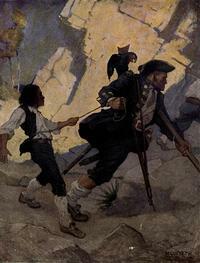 Long John Silver was crafted by Robert Louis Stevenson in his book “Treasure Island” published in 1883. 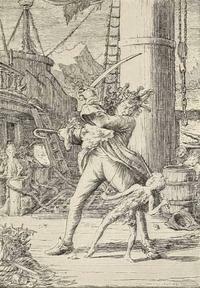 He was a one-legged pirate who craftily hid his dark side until the opportune moment. The Dread Pirate Roberts is a character mentioned in the 1987 film “The Princess Bride,” who takes farm boy Westley prisoner on his ship. 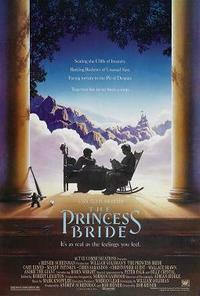 He is never seen, but quoted by Westley mid-way through the film as he recounts his experience. 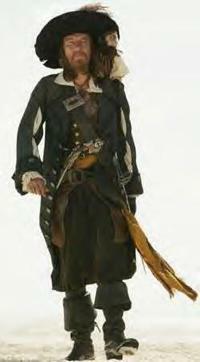 Captain Jack Sparrow is a fixture in the “Pirates of the Caribbean” movie franchise, known for his strange mannerisms, trickery and passion for rum.